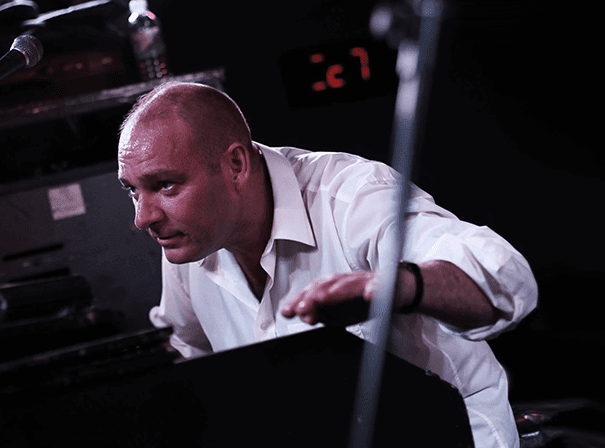 For a quarter of a century, the James Taylor Quartet have set the standard for the coolest sounds in funky acid jazz. Through dozens of mighty albums and countless legendary gigs at home and around the world, they’ve quietly become a byword for distinguished British creativity. But the great artists never let the grass grow under their feet, and now James Taylor’s impassioned musical curiosity has led to the most ambitious and exciting project in JTQ’s illustrious history. Allow us to introduce the album Closer To The Moon, the like of which you’ve never heard — because in addition to their infectious trademark stylings, the quartet have brought together the worlds of jazz and classical music in a brilliant and unexpected marriage. From the moment the metronome counts in at the top of ‘Tick Tock’ until the conclusion of the typically atmospheric, filmic title tune, Closer To The Moon is a unique listening experience and a career landmark. Not to mention that it also sports James’ first-ever lead vocal performance on ‘Closer To You’ and the little matter of a Beethoven piana sonata. On Closer To The Moon, released on his own Real Self label, Taylor’s trusty Hammond and the group’s ever-alluring horns are not content with delivering a range of juicy new jazz flavours. Throughout the record, they’re also conversing with a wild array of classical instrumentation, including celeste, vibes, harp, zither, gong, glockenspiel, even tubular bells, many of them custom-built for the bandleader. This, on top of the Quartet’s already assured and acclaimed discography is why they are as revered as they are in music circles across the planet.